1xbet is an online betting platform with a proven record of content users. Their desktop website set standards for quality. But what about 1xbet app? This newest addition has a lot to offer. See our expert’s opinion about it, including bonuses, promos, special features, and system requirements. How to download the 1xbet app? If you are an Android user, you can download 1xbet Android app directly from their website, since Google Play does not offer it at the moment (perhaps they will in the future, but Google has some weird laws regarding gambling apps). You will receive a file with an .apk extension which is by default not accessible by most Android phones. Go to configurations and allow .apk files on your phone. This step may differ for various Android devices, so make sure to find the instructions on the Internet on how to do that. It is a straightforward procedure that takes only a couple of seconds to complete. Once this feature is allowed, you only need to tap on the .apk file to install the app, and you are ready for some action! Users of Apple devices have an easier job to do. Simply find 1xbet iOS app on App Store and download it. Finally, you can opt to download a special 1xbet browser for mobile phones which works perfectly with the website’s mobile version. If you are not a registered user, you will have to go through the registration process to make all features available. Don’t worry – it’s quick! Make sure to enter the promo code for a bonus. Read on! The 1xbet mobile app requires at least 4.4 version of Android. Supported phones include HTC, Samsung, HUAWEI, Lenovo, ZTE, Acer, Sony, and Asus. On the other hand, Apple users must have at least the 9.0 version of iOS. You can install the app on iPhone, iPad, and iPod touch. Please take into account that although app works well on all of the listed software versions, the newer phones are always preferred. Only two languages are available so far – Russian and English. However, we hope that they will introduce other European languages soon. Although mobile-only bonuses are not a part of 1xbet, you can still claim the ordinary ones by registering with your mobile. The platform offers dozens of bonuses, but the most important one is the 100% welcome bonus that will fill in your account with up to $100. How? This is called the First Deposit Bonus, and it is only available for new players. For example, if you decide to deposit $20, an additional $20 will be automatically credited to you. Nice! Just copy the 1xbet promo code from when you register and you are good to go! Good luck! The app doesn’t have any constraints in comparison to the desktop version. Everything is highly customizable, and the design is similar as well. You can adjust all kinds of stuff, such as odds, backgrounds, overviews, display, etc. In fact, the team that made 1xbet app did a great job with personalization options. Furthermore, you can enjoy all of the features that are available through the in-play and live betting options. Finally, the app features a “Slots” section where a lot of casino games such as slots, poker, roulette, blackjack, and baccarat offer an alternative and a break from placing bets. Let’s take a look at some of the most common questions about 1xbet mobile app. How to place a bet on the 1xbet app? Just like you place a bet on the website. Select a game that you want to bet on and pick the type of bet. Once your choice is complete, proceed with it and wait for the results! 1xbet offers pretty favourable odds in comparison to other online bookmakers. How to make a deposit on the app? Login into the app and go to your funds in the Payments section. Connect the preferred payment method with the app and enter the amount you want to deposit. There are no fees for deposits. How to make a withdrawal on the 1xbet app? Select “Withdrawal” in the payments section and choose the method for withdrawing your funds. Select the amount and click “Withdraw.” Withdrawals are also entirely free, although they usually take longer to be processed than deposits. On the other hand, your preferred payment method may charge you for the transaction. Can I play on 1xbet if I’m in the USA? No, you are not allowed to, as the 1xbet doesn’t have a licence yet. You can contact them by sending an email at [email protected] or calling them on +44 127 325-69-87. Also, there is an option to contact the support directly from the app. 1xbet is really something else. They not only offer a wide variety of betting markets but also make live streams available for many live games. If you like watching the game unfold as you place bets, this is a perfect site for your bets. The software is also perfect, both if you opt to access the mobile website or if you opt to download 1xbet app. Apart from betting, there is a nice slots section that features other casino games as well. Feel free to explore the app and see all the features that it offers – there’s plenty. We could not list them all here! The main disadvantage that we believe is present here is the (lack of) languages. 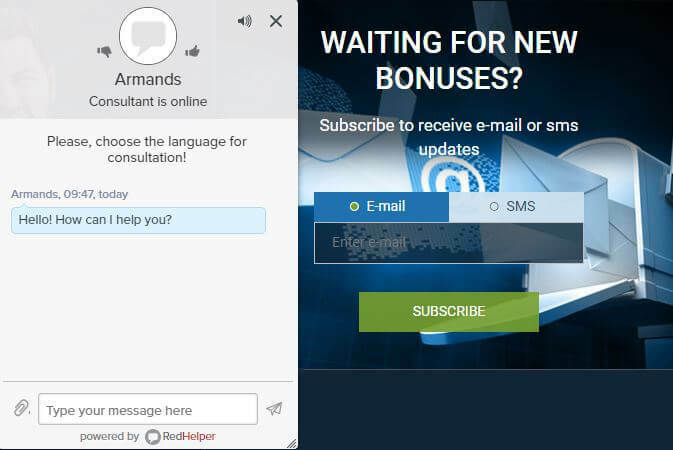 The website for desktop computers is available in various world languages while the app offers only Russian and English. This is something we hope they will improve in the future.